Tour of Sequoia N.P., Steam Train (Roaring Camp), Napa Valley, Winetasting, Redwood N.F., Crater Lake, Lake Shasta Caverns. Leave Los Angeles in the morning and heading to Sequoia National Park which located in the central California. On the way, you will enjoy the view of the nuts farm. We will arrive Sequoia National Park after lunch. This is the World of the Giants, we will visit the second largest tree by volume—General Grant (name after Ulysses S. Grant) the 18th President of the United States, the tree also been proclaimed as “the National’s Christmas Tree”. Stay overnight at the city of Pleasanton. Hotel : Double tree Pleasanton or similar. Keep heading north in the morning to the World Famous Winey County--Napa Valley. You will see the endless grape vines and all kinds of wineries. We will pick a local famous winery for you and let you taste some good wine and snacks. Entering into Redwood National Forest after lunch, we gonna guide you visit those great wonders, people call this part of highway “Avenue of the Giants” they are guardians of the forest. Arrive Eureka in the noon and visit the remarkable display of American Queen Anne style house-Carson Mansion. Following the pacific coast to the north, visit the trees of Mystery, you can visit the Indian Museum. Passing the Crescent City and getting into Oregon State. On the way you will enjoy the view of endless forest and clear creek. Arrive Crater Lake Nation Park after lunch. 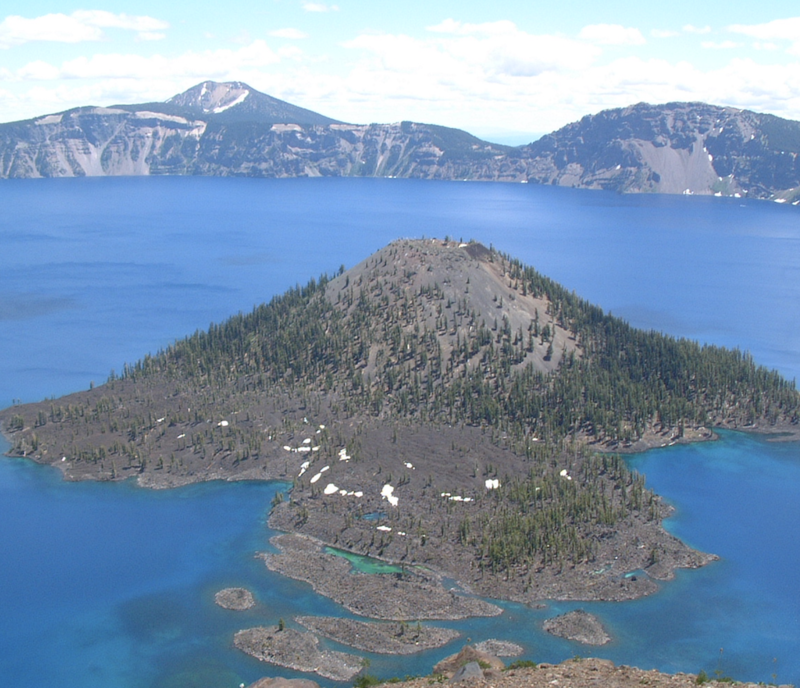 Crater Lake National Park is the only national park in the State of Oregon, you will see one of the most beautiful blue water in this world. Crater lake formed 7700 years ago by the collapse of the volcano Mount Mazama, this is the deepest lake of the U.S the deepest point is 1949 feet, the lake attractive about 400,000 visitors each year and most of the license plate use Crater Lake as the background. Stay overnight at Klamath Falls City. Hotel : Running Y Ranch or similar. Leaving Klamath Falls city in the morning, going back to California along the World War II Veterans Highway-U.S. 97. Visit Mountain Shasta Vista Point, the best point for viewing the “White Mountain” (2000 feet over Mountain Fuji). Heading to Lake Shasta Caverns which formed 200 million years ago by flowing water. The entire cave is made of limestone and feature a wide variety of formations, stalagmites, soda straws, and flowstone. Visit the Sundial glass bridge afternoon it been called the largest sundial in the world. Stay overnight at Gilroy, you can visit the Premium Outlets close by as your wish.